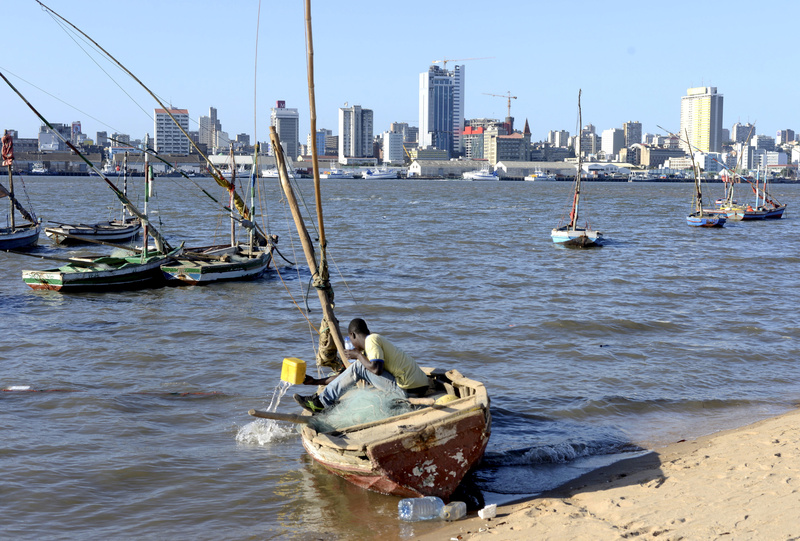 A fisherman cleans his boat beneath Maputo's skyline, Mozambique, August 15, 2015. Three former Credit Suisse bankers were arrested in London on Jan. 3 on charges that they took part in a fraud and bribery scheme involving $2 billion in loans to state-owned companies in Mozambique, a spokesman for U.S. prosecutors told Reuters. According to the indictment, between 2013 and 2014 three Mozambican state-owned companies borrowed more than $2 billion through loans guaranteed by the government and arranged by Credit Suisse and another investment bank, which was not named. Prosecutors said at least $200 million was diverted to the bankers, other defendants and Mozambican government officials. Chang, 63, signed off on the loan guarantees as finance minister, but did not disclose them. When the guarantees were revealed in 2016, foreign donors including the International Monetary Fund (IMF) cut off support for Mozambique, plunging the southern African country into a debt crisis that still plagues it two years later.